Ros is best known for her bright sparkly leggings, bubbling enthusiasm for Forrest Yoga, and her propensity to be upside down at every given opportunity! With a wanderlust spirit, Ros spent 11 years living overseas teaching English in Spain, Thailand and Malaysia. She started practising yoga whilst living in Bangkok in early 2007. It was hot yoga that first drew her in. She discovered it provided a great way to handle the anxiety that accompanied her stressful job, alongside helping to heal her knee injury. It was in Bali that the magic of yoga really captured Ros under its spell, and she started taking regular trips there to explore her yoga practice further. Whilst visiting Ubud she met Cat Kabira and was introduced to Forrest Yoga. Around this time Ros had been diagnosed with a partially herniated disc in her spine and had started having problems with sciatica. Forrest Yoga’s focus on breathing into injured areas of the body in order to heal them really made sense. This, alongside the core work, played a significant role in healing her back pain. In 2011 Ros took her first 200 hour teacher training in Yoga and Energetics with Cat in Bali. Here she studied Vinyasa Flow and Yin Yoga, alongside completing Cranio Sacral Therapy Level One training. This was also the start of her interest in Shamanism and she has since studied both Balinese and Native American healing and ceremony. On her return to Kuala Lumpur she left her stressful management role to move back to teaching English part time and started teaching yoga classes at a local studio. 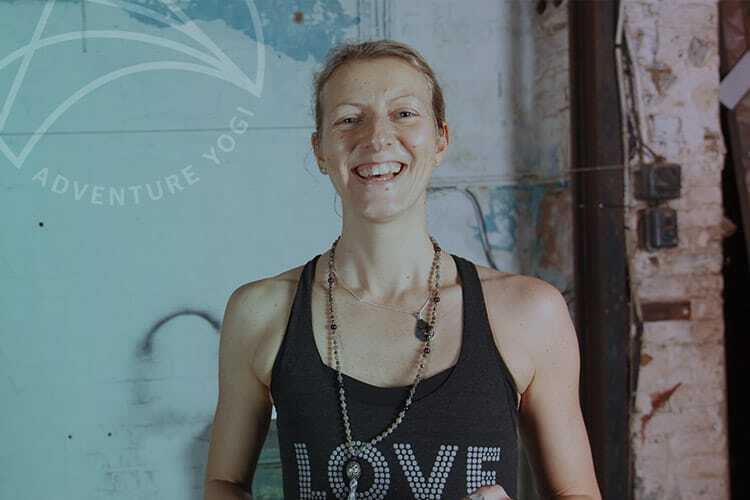 In June 2012 she completed the Forrest Yoga Foundation teacher training with Ana Forrest, and following this decided to bite the bullet to move back to the UK to teach yoga full time. Since then Ros has done the Advanced Forrest Yoga teacher training and has completed the Forrest Yoga mentorship programme under her mentor Forrest yoga guardian Sandra Heider. Ros is a fully certified Forrest Yoga teacher and has assisted Ana Forrest during her workshops and teacher trainings in the UK. She currently teaches Forrest Yoga, Yin Yoga and Vinyasa Flow in Peterborough and Cambridge. Ros loves being active and being outside in the fresh air. She is currently back in training to run a half marathon for charity, and loves nothing more than getting out on her paddleboard in her free time. She is also certified as a SUP yoga instructor and so can often be found upside down on the water too! Creativity is also an important part of Ros’s life – she works as a freelance writer and designs and makes jewellery under the name ‘Anjali Energy’. She specializes in custom designed yoga malas made from semi-precious stones and loves creating special, unique pieces for her customers.